One of my guardians recently visited Ohio for a high school reunion, to see family, and to participate in a tour of the Cleveland Museum of Natural History, an auction item on which he was the winning bidder at a fundraiser for one of his causes, The Education Foundation. 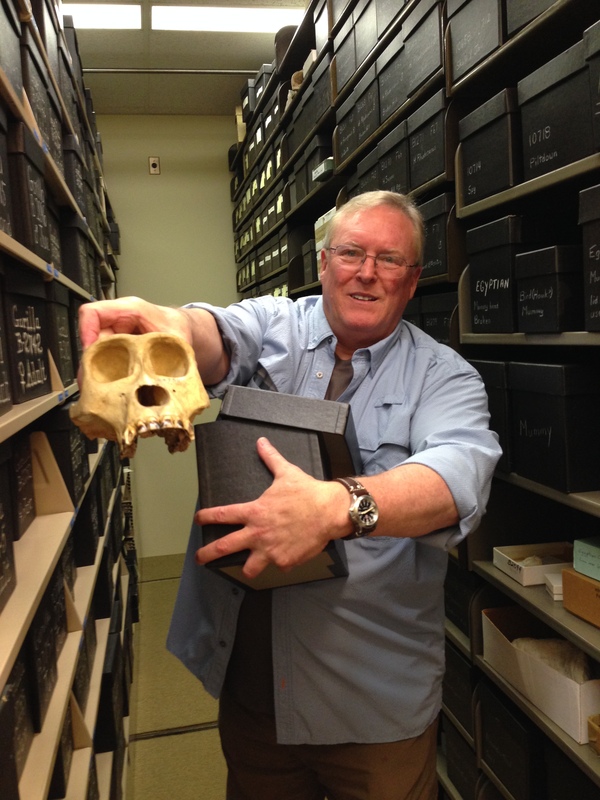 Bruce Latimer, renowned paleoanthropologist, and a portion of the collection at CMNH.org. While in Ohio, my guardian connected with a good friend, Jim Walters, legal counsel for my guardian’s hometown, the City of Berea. In the course of one of their conversations Mr. Walters posited that, to put purpose in life, one must help others… Put another way, that serving others was an important dimension to a full and meaningful life. Of course I agree with that and, in my own way, do my best to serve others by “working” to help them to have a better day. Here I’m meeting with several University High students before class, helping them to a pleasant mood, for sure. For example, when I awaken, I time my jumping out of bed to coincide (more-or-less) with my guardians’ arising, so we can begin to enjoy the day together with my licks & tail wags. In return I usually get some small talk I don’t understand, but no worries. 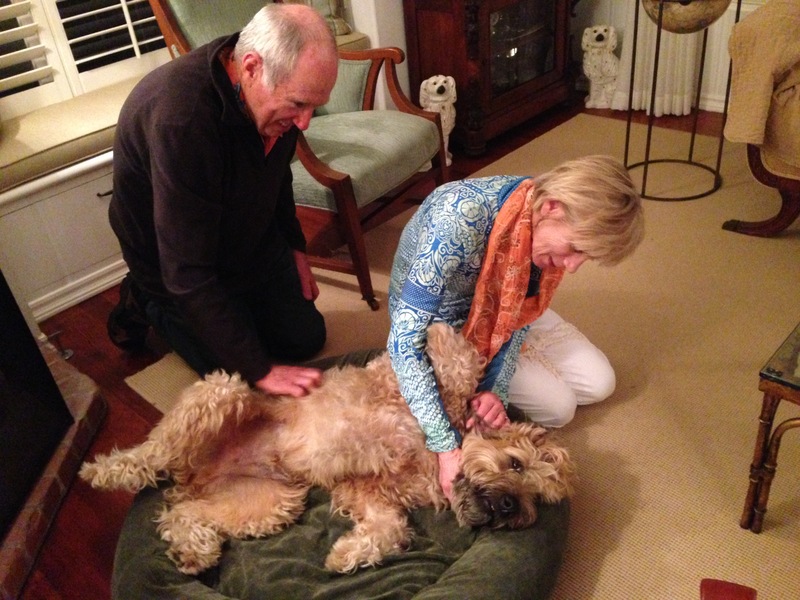 If convenient, I might lie on my back and allow them to scratch/rub my belly – from the delight I convey I can see the pleasure they also receive. Playing around with my friends, Bill & Julie; everyone is smiling! As the day progresses and we get out for our walks together, I do my best to cheer up just about every dog and person I meet. 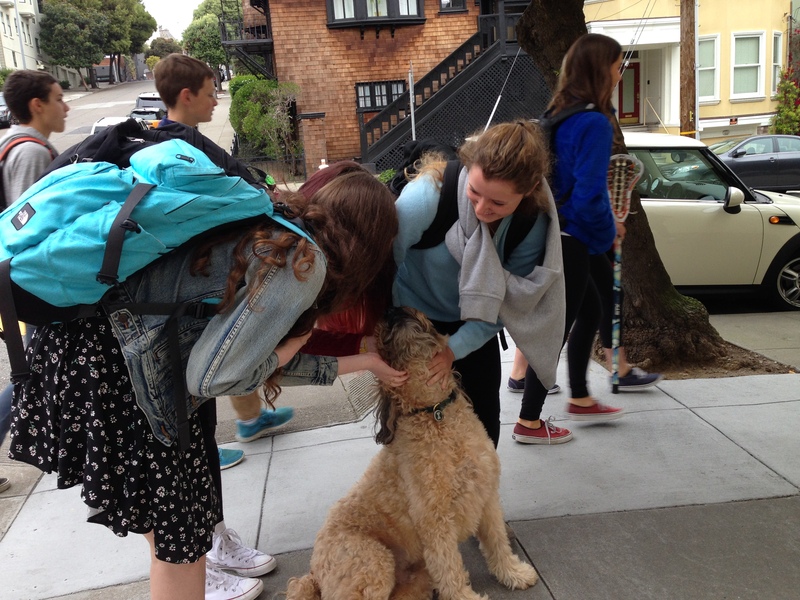 I sense my peers’ interest in socializing and react accordingly with sniffs, tail wags, and other civilized behavior. For those with only two legs, child or adult, I offer my penetrating brown eyes along with tail wags. Occasionally I even sit on one of more of their feet to be in even greater emotional consonance. 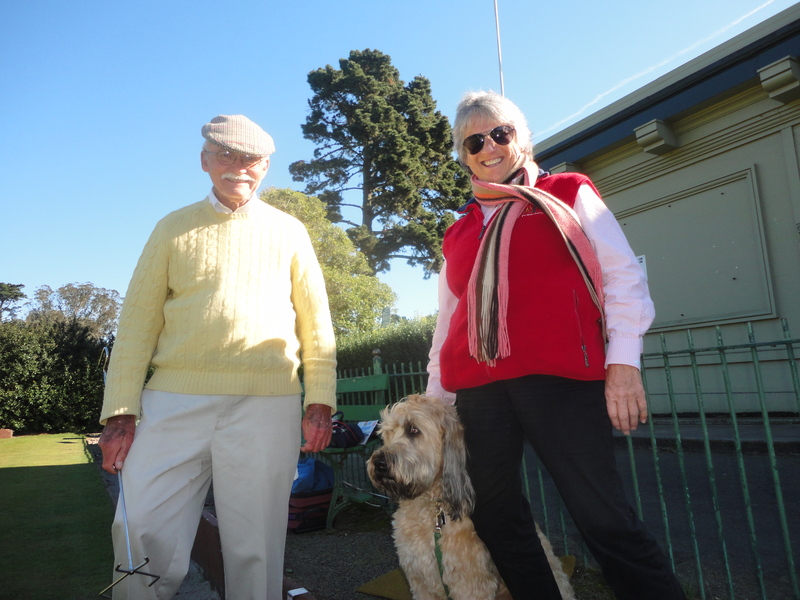 Judith & Bill, SFLBC’s volunteer instructor…we all have such a good time together! Wherever I am, wherever I go, I do my best in service of the world to make it a happier, more pleasant place for all. I was found in a city park in Southern California without an ID or name and adopted when I was about one. 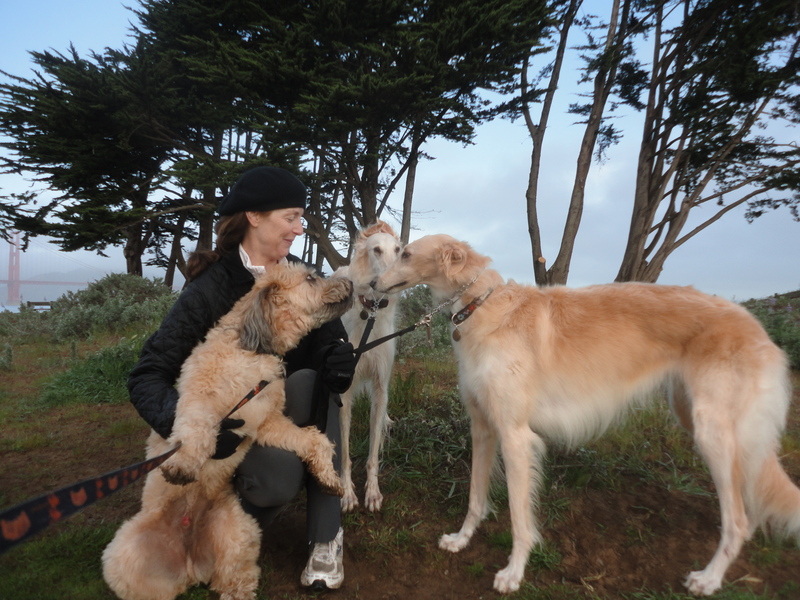 I then moved to San Francisco with my new family who named me Wally. I very much enjoy the parks and beaches. I like all my neighbors and everyone around seems to like me - in fact, many neighbors greet me by name and I'm really friendly with our US Postal Carrier! Occasionally I get to spend weekends at a ranch in Sonoma, and I've already toured much of the western U.S. I love to hear how our dear old friend is doing!!! We miss you, MrWally! All of us at ARTifact in Cow Hollow! I miss you too and would like to reconnect in person when I get back up to San Francisco. In fact, I’ll make it a point to walk by on my next trip north…not ’til September from what I understand. 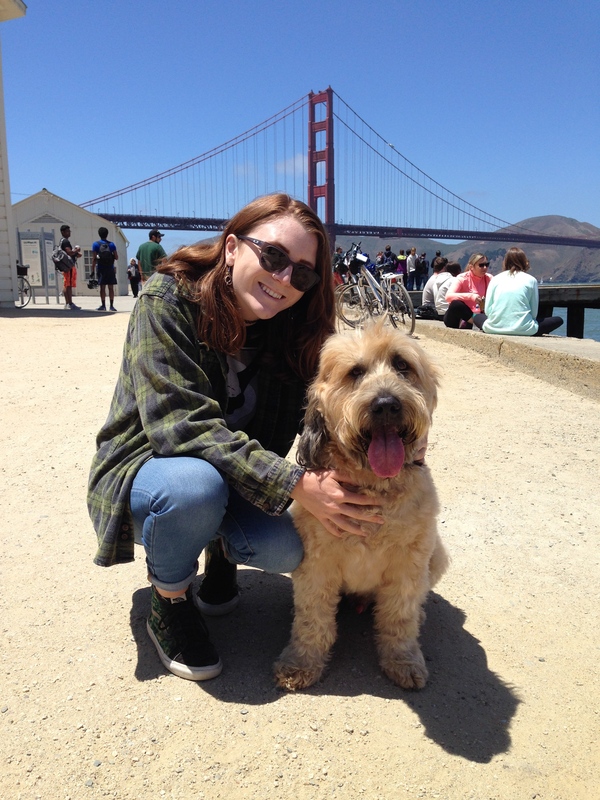 Lately Laguna Beach has been much warmer than I prefer, humid too, and I now appreciate SF weather more than ever…plus the dogs and people like you are so nice up there. It’s hot here in Laguna Beach! Don & Joann Jaco… on Checking in…. Drew on Back in town!